More wrecks for the junkyard. I don’t know where Bobby keeps finding these junkers. But something interesting is always showing up. 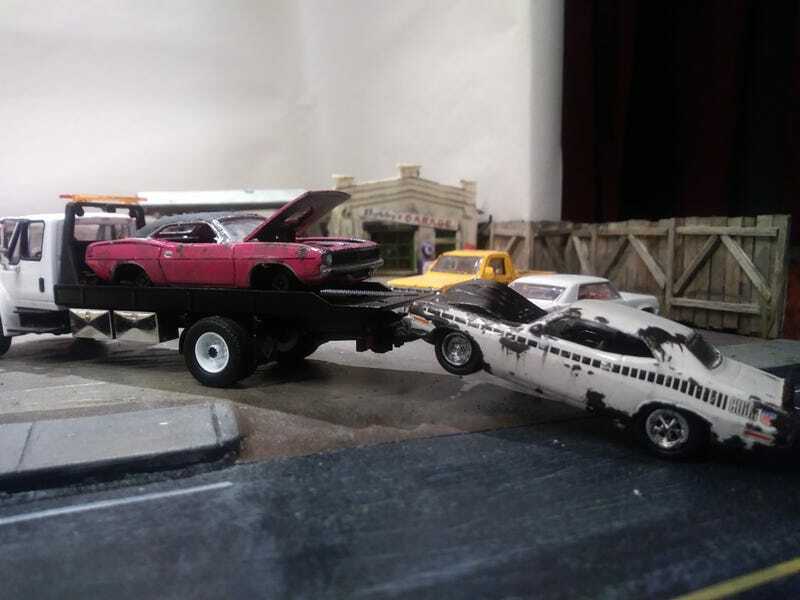 The pink Cuda is defintely the rougher one, with its Hemi and wheels long since gone. The interior can’t bein good shape with that busted window, and the vinyl top is rotting off the car. Despite the massive rust, this AAR Cuda is definitely worth saving. Shame someone bent that rare hood trying to get at the motor. Both of these were made from some battered flea market finds,with the work done on my twitch stream. The vinyl top in particular was a fun experiment.